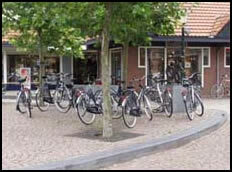 This is a wonderful opportunity to cycle leisurely through the Dutch countryside from village to cobblestone village on bike paths that wind through Holland on flat terrain. The sites to be seen from a bicycle are so different than from the window of a bus or car. You will be able to experience the Dutch countryside of windmills, cheese farms, wooden shoe factories, visiting a van Gogh museum in a national park, or perhaps Venice of the north in a village known as Giethorn. 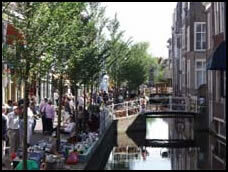 The main tour gives you the opportunity to be in three distinct areas of Holland. We will be inland in Gelderland, Overijssel, then from here to the coast to enjoy the villages of Scheveningen, Katwijk in Zuid Holland as well as inland towns of Wassanar and Leiden. 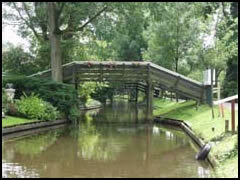 While cycling through Holland there will be polders, forest, colourful fields, attractive towns and picturesque villages. While en route there are plenty of opportunities to rest at the many restaurants and cafes or areas along the way after visiting a grocery store in a local village. The tour is organized to provide flexibility so that if during the day some of the group wishes to split off and try a different route they can meet up later at a rendezvous point. We will have detailed cycle maps of every area so that as the day begins we can sit and discuss the many varied routes you will be able to take. This is done to accommodate everyone’s different speeds and endurance. There will be some people who wish to travel longer distances while others may want to take a more conservative route. The routes are all on well maintained paths that are well marked on the maps that we are able to purchase from the tourist shops of the area known as the VVV. We will cycle out from our hotels and return to them so you do not have to worry about living out of a suitcase day to day. We will be a minimum of 2 nights in a hotel which usually will be outside the hustle of the cities. We do not include suppers so that everyone has the opportunity to try different restaurants along the way and not feel pressured to be at a certain place at a certain time. This is the whole objective of biking leisurely through the countryside and forget the hectic schedules we are all used to .The average route is approximately 45 kilometers. We at GCT encourage people to get to know one another and hopefully create new friendships. Testimonial: I have always been a sun worshipper and holidays were finding the best beach to relax and read a book. After going on a bike tour in Holland with Gerry, no vacation will match this. It was absolutely the best way to see and experience Holland. To cycle through amazing forests where you could hear a pin drop was so surreal. To cycle through country sides and visit town after town was incredible. Gerry with his knowledge of Holland was the key as he ensured we did not miss anything and we cycled at our own pace! I never thought about work once …. And that in its self is a miracle!